What a great addition this beautiful spring door wreath with wood bunny will make for your spring decorating! 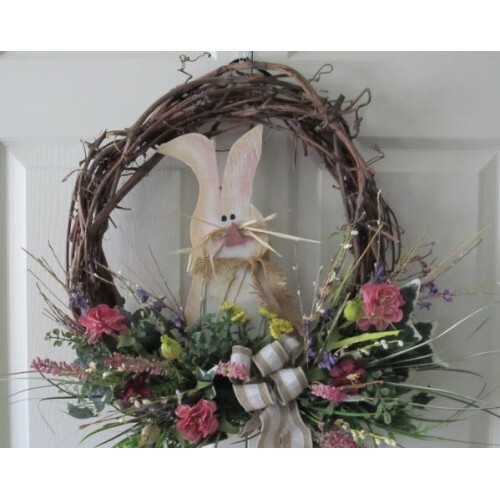 This is a One of a Kind spring door wreath with bunny. 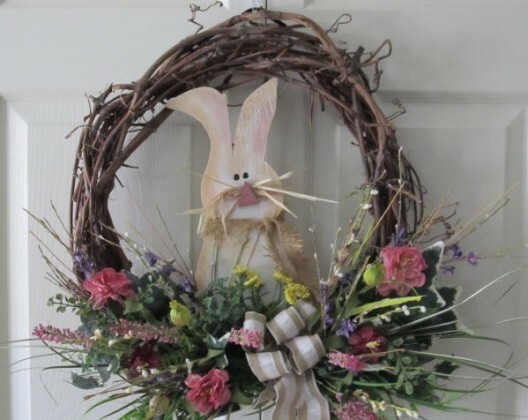 Why not be the envy of the neighborhood with this beautiful " Bunny Spring Wreath"
to add a burst of springtime to your front door! This spring bunny wreath is made on a handmade 18" grapevine base, a hand made and painted country wood bunny is secured attached to center, adorned with spring florals, finished with a burlap bow. A must have for that spring front door wreath with bunny!